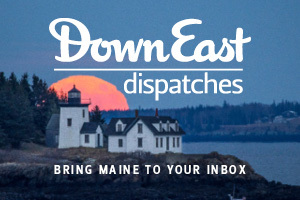 Opinions and advisories on elver mania, the return of the elm, and Maine’s last clipper. While nobody was looking, Penobscot Bay’s saltiest seaport decided to take itself seriously, and suddenly the go-through community on Route 1 is becoming a go-to place. By Jeff Clark. At Cobscook Bay State Park, the campsites are right on the water and include all the clams you can dig. By Andrew Vietze. When I led a Maine art tour to Prouts Neck, I really hit a homer. By Edgar Allen Beem. What’s so special about this isle? For starters, it’s small and virtually traffic-free. Photographs by Dean Abramson. If Max Folsom can’t fly you where you need to go in the North Woods, no bush pilot can. By Andrew Vietze. For those challenged by factory outlet shopping, Maine’s best-known bargain center needn’t be a nightmare. And, oh, the things I saw — before the war and the fire changed everything. By Franc Ladner. 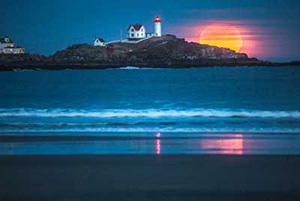 The pair of volunteer lightkeepers on Seguin Island just might have the best summer jobs on the coast of Maine. By Ken Textor. From sunset tours and kayaking expeditions on Casco Bay to casino cruises to Nova Scotia, Portland offers dozens of ways to get afloat. By Matthew P. Mayo.  The same heady, alone-in-the-wilderness sensation that pulls hikers into the hinterlands also entices Maine’s new breed of mountain bikers. By Scott Sutherland. In Ogunquit, bingo is more than a game of chance; it’s a chance for an engrossing night out. Whiling away an afternoon aboard a paddle wheeler is one of the Lakes Region’s unique pleasures. The anachronisms in a tum-of-the-century photograph tell more than the picture itself. By Ellen MacDonald Ward. On the few times I have undertaken to explain that I have finished a full day of moving mice from place to place, I have noticed people exchanging glances and edging nervously away from me. By Caskie Stinnett. 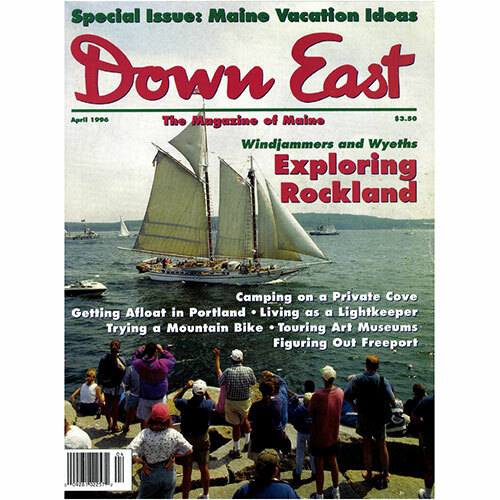 Cover: Great Schooner Race, Fourth of July weekend, Rockland, by Douglas Merriam.